I write this letter to mark the rise and fall of the Cornfield ward of Littlehampton Town Council. It came into being at the last local elections and is being abolished at the next. It is being amalgamated into Brookfield ward. It consists of Oakcroft Gardens and Cornfield Close, a few houses on the A259 and the land in-between. Residents will be aware that the lovely oasis, the Daisyfields campsite, was closed down by Arun District Council and put on the market. The result of that decision is that a planning application for 77 homes is likely to be approved by them in the next few weeks. Littlehampton Town Council submitted a long list of concerns about the plans as well as questioning the principle of closing down the only site in Littlehampton to accommodate camping with tents. Some of these will have been addressed by officers with conditions to deal with issues like contamination, some will not have. 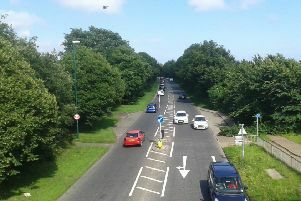 If approved, I remain of the view that some money from the development needs to be put aside to implement some traffic contingency – primarily to protect residents of Cornfield Close to still be able to park and to protect access to the Cornfield School and the ability to be able to get out onto the A259 when it is queueing. I am afraid that not a single resident responded to the planning consultation. I note that in response to the application the local health authority (CCG) responded that it was likely that the needs of residents would be accommodated in a new facility to be built next to the Arun offices in Littlehampton. We have not seen plans for that yet, so I suspect the most important question for residents will be whether GP lists will be open and accepting new patients? 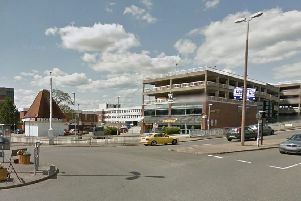 The other area of land in the heart of the ward is known as land to the north of The Littlehampton Academy and is owned by the county council. It has been used by residents for dog walking for decades and was the subject of an unsuccessful attempt to have it designated a village green some years ago. Arun District Council has divided the land up into two parcels in the housing and economic land assessment document and suggested it as suitable as follows: land north of the Littlehampton Academy and south of Cornfield Close, 100 homes; land north of the Littlehampton Academy and West of Oakcroft Gardens, 52 homes. This is in contrast to the policy in the Littlehampton Neighbourhood Plan, approved by referendum, which reads ‘north of the Littlehampton Academy, up to 100 dwellings, primarily 2, 3 and 4-bed houses subject to the provision of a new open space on land adjacent to Oakcroft Gardens’. I would suggest to residents that they have a battle on their hands to ensure that a decent open space is provided as part of these plans and they should enlist the support of anybody standing for election in Brookfield ward for it. Residents will have noted that the construction of the approved 84 homes on the Windroos Site on the north of the A259 directly opposite Cornfield ward has just started. Also the initial stages of clearance for the widening of the A259 between the Body Shop roundabout and Highdown Drive, the construction of the Fitzalan Link Road on the green space behind Highdown Drive, the new roundabout on the A259 and the provision of the Lyminster Bypass proceeding northwards. It’s going to be very important to ensure that the new representatives for the area monitor the proposed replanting and ensure that it is carried out in accordance with the promises made and with decent mature trees. Also to ensure that pedestrian and cycle links and crossings are effective given the huge number of young people who use these routes. I also urge air pollution monitoring to be undertaken given the transfer of large amounts of traffic to this new route. I hope that this update proves useful for residents in choosing new representatives in the forthcoming local elections.